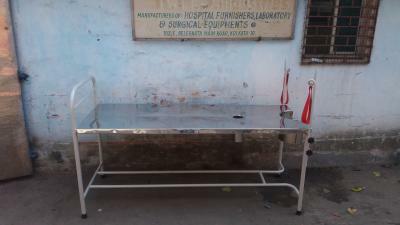 Size : 180 cms I x 76 cms w x 76 cms h.
Machine pressed double bent al/stainless steel top with centre Support. Tubular frame work. Legs and with lithotomic rods & belt With drainage pipe. Powder coated finish. Made of Stainless steel also..